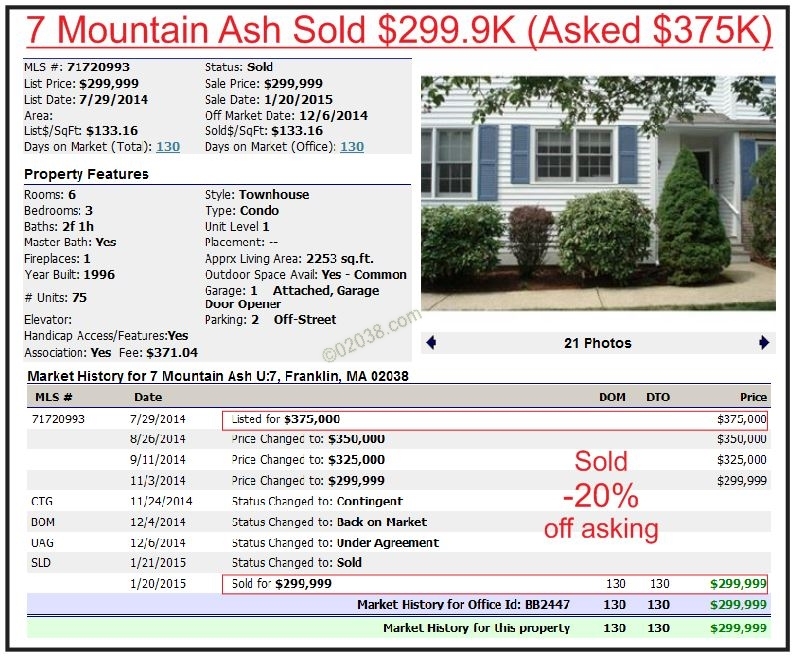 2015 was a very strong year for sales at the Chestnut Ridge condominiums in Franklin, MA. Unit sales volume soared 57% compared to 2014’s total. 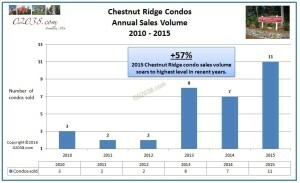 11 townhomes changed hands during 2015, the largest number of sales at Chestnut Ridge in years. 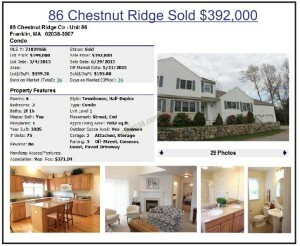 While unit sales surged, the average sale price of homes at Chestnut Ridge also advanced. 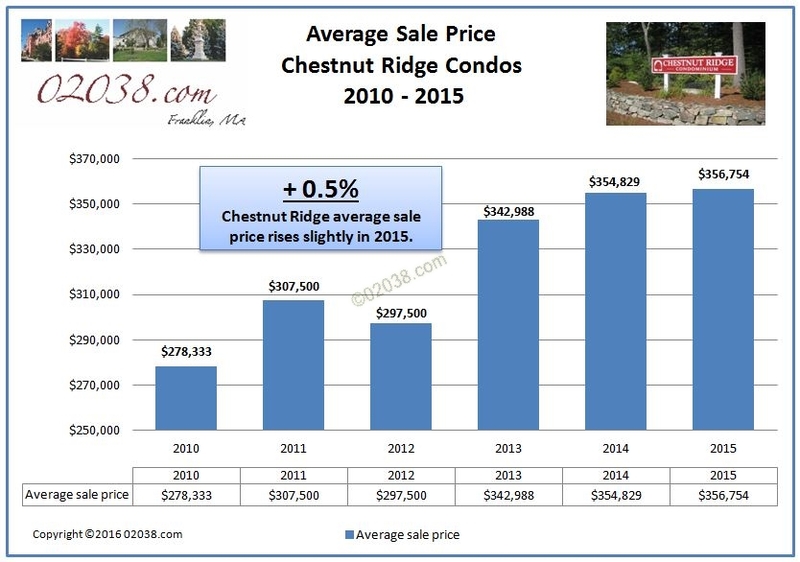 At $356,754, the average sale price at Chestnut Ridge for 2015 was only 0.5% higher than 2014’s $354,829. However, this statistic understates the true strength of the market for Chestnut Ridge condos in 2015. 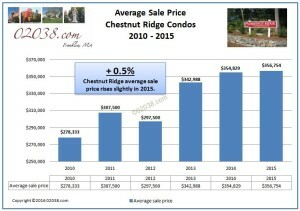 The average price statistic at Chestnut Ridge in 2015 was kept in check by the relatively low prices fetched during the year by the sales of a couple of of townhouses with dated interiors. 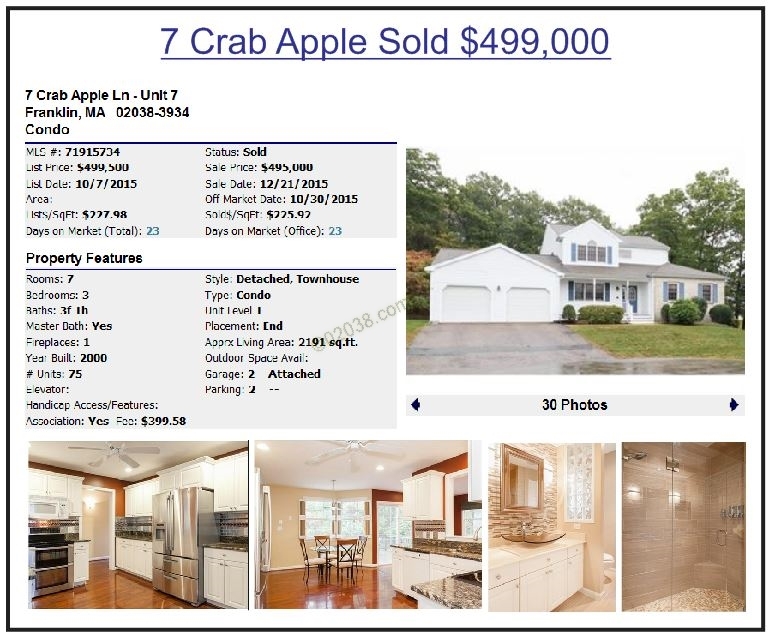 One such listing was 7 Mountain Ash Lane, which needed substantial refurbishing and sold for a very low $299,900 after a long time on the market at inappropriately high asking prices. The overpricing suffered by this listing certainly hurt its marketability. Had a more realistic initial asking price been set when the home hit the market, it very likely would have sold for more money, helping raise the average sale price at the condo community for the year. 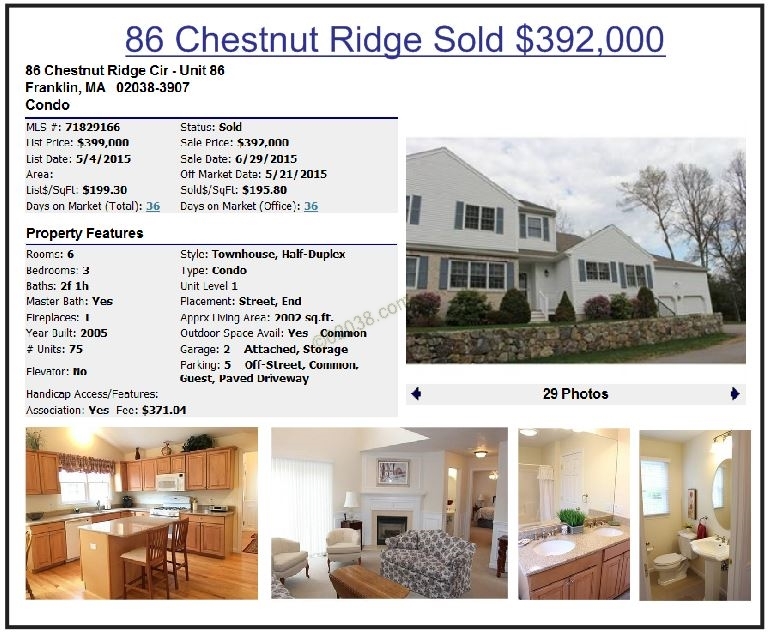 The other end of the sale spectrum for sales at Chestnut Ridge for the year shows how desirable location and great interior condition can help generate premium sale prices. 7 Crab Apple was an exceedingly rare stand alone townhouse in Phase 2 of Chestnut Ridge that sold for $499,000. The home’s interior was spacious and luxurious. Also selling in 2015, 86 Chestnut Ridge was an end unit home in Phase 2 whose standout interior condition justified its high $392,000 selling price. 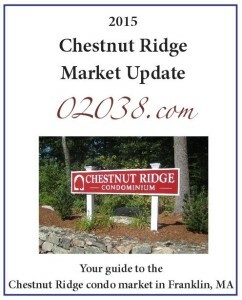 You can learn more about Chestnut Ridge here. 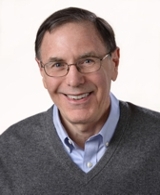 If you have questions about Chestnut Ridge or would like to see townhomes for sale there, contact Warren Reynolds – he’s an expert on Chestnut Ridge!